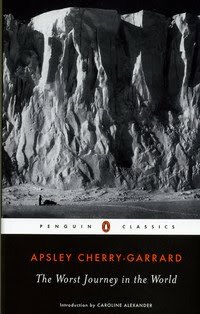 “Polar exploration is at once the cleanest and most isolated way of having a bad time which has been devised.” So Apsely Cherry-Garrard begins the telling of The Worst Journey in the World. Antarctic happenings, but particularly the history of exploration there, have intensely interested me since my travels took me there in January of 2004. I read any newspaper or magazine article I can find on the place and I try to pick up as many books as possible on the continent, most of which are about the Heroic Age of Exploration. One such book is Apsley Cherry-Garrard’s The Worst Journey in the World. Cherry-Garrard was on one exploration to Antarctica and that was the fatal Terra Nova polar expedition of Robert Falcon Scott. Cherry-Garrard was not selected by Scott to be part of the polar party itself, but was on the support crew and sledged nearly 1,100 miles on the expedition despite his early return. Because of this return he lived to tell the tale of what happened in Antarctica from 1910-13, with the help of many excerpts from the diaries of his mates, and he beautifully tells that tale in this book. The title though is slightly misleading since it really does have a dual meaning. Obviously the worse journey to be had was the fatal expedition where Scott, Edward Wilson, Lawrence “Titus” Oates, Henry “Birdie” Bowers, and Edgar Evans all died trying to return after reaching the south pole, only weeks after Norwegian explorer Roald Amundsen arrived. 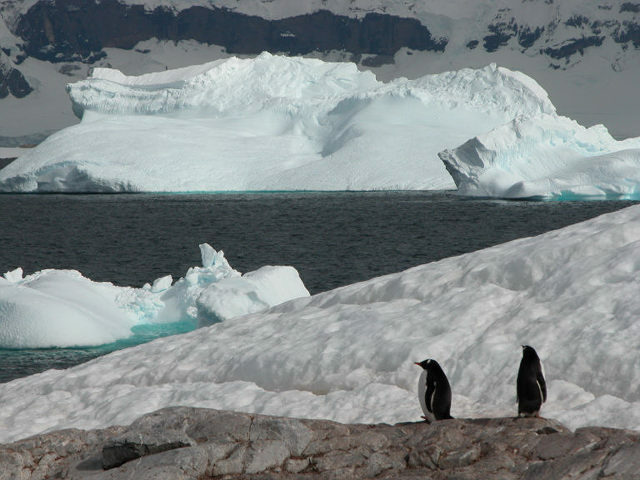 But, the “worst journey in the world” also refers to a winter expedition where Cherry-Garrard, Wilson and Bowers traveled 60 miles from Cape Evans to Cape Crozier to collect an Emperor Penguin embryo and egg, the first ever to be gathered, for scientific study. “Thus ended the worst journey in the world,” Cherry-Garrard concludes his story before going on to explain how he, the sole survivor of the trip, brought the penguin eggs to the Natural History Museum in South Kensington for examination. There are those who write of Polar Expeditions as though the whole thing was as easy as possible. They are trusting, I suspect, in a public who will say, ‘What a fine fellow this is! we know what horrors he has endured, yet see, how little he makes of all his difficulties and hardships.’ Others have gone to the opposite extreme. I do not know that there is any use in trying to make a -18 temperature appear formidable to an uninitiated reader by calling it fifty degrees of frost. I want to do neither of these things. I am not going to pretend that this was anything but a ghastly journey, made bearable and even pleasant to look back upon by the qualities of my two companions who have gone. At the same time I have no wish to make it appear more horrible than it actually was: the reader need not fear that I am trying to exaggerate. Cherry-Garrard beautifully details both expeditions in The Worst Journey in the World so well that tears were brought to my eyes. I was so saddened by his telling of the deaths of his companions that I couldn’t help but pause as I gazed at the pages. The book truly is one of the best Antarctic reads I’ve had the pleasure to pick up. This is largely because it is written more as a personal story opposed to a diary entry, which Cherry-Garrard excerpts on several occasions. I really have difficulty in finding any fault with the book, despite some incredibly long chapters that can make reading teadious, and can only praise the story he shares. There are times when Cherry-Garrard bounces quickly between topics with no transition, but I feel it only adds to the depth and magnitude of the story as he details fines points that may otherwise be overlooked. It really is a noble story written by an exceptional individual about an extraordinary expedition to Antarctica. And I tell you, if you have the desire for knowledge and the power to give it physical expression, go out and explore. If you are a brave man you will do nothing: if you are fearful you may do much, for none but cowards have need to prove their bravery. Some will tell you that you are made, and nearly all will say, ‘What is the use?’ For we are a nation of shopkeepers, and no shopkeeper will look at research which does not promise him a financial return within a year. And so you will sledge nearly alone, but those with whom you sledge will not be shopkeepers: that is worth a good deal. If you march your Winter Journeys you will have your reward, so long as all you want is a penguin’s egg. The newly added Amazon.com widget on the right side of this page is there for your convenience in purchasing any book I review, particularly this one. As I mentioned earlier, I highly recommend Cherry-Garrard’s epic. It is one of the best travel-related books I have ever read and strongly encourage others interested in traveling and/or Antarctica to pick up a copy of their own; feel free to do so by using the Amazon.com widget for this or any other travel book.